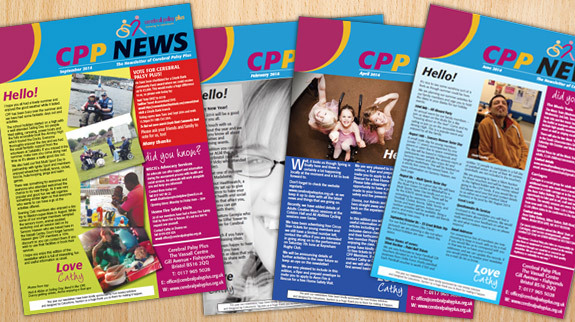 Our newsletters are bi-monthly and full of practical info, the latest events, fundraising activities and CPP news. In the latest newsletter CPP March 2019 we tell you about our successful partnership with Rolls Royce as one of the Apprentice Association charities of the year! We also highlight how member and trustee Ian set about riding a Trike 53 k to celebrate his 53rd birthday and we introduce comedian, Lawrence Clark and his irresponsible father’s guide to parenting. You can find our past copies archived below. Enjoy Reading!